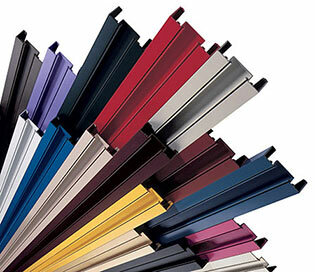 In addition to our stocked Clear and Bronze anodized, and White painted colors, we offer five more anodized finishes and fourteen standard painted colors. Blended standard and custom colors are also available, providing you with an infinite variety. More than a palette of pretty colors, our finishes are tough and backed by some of the best warranties in the industry.